KL Sentral is Malaysia’s largest transit hub, integrating various transit centres with all public transportation here in Malaysia. KL Sentral has seen many renovations over the years providing greater convenience through the facilities and amenities, minimizing the gap between the various regions in Malaysia. It is also connected to NU Sentral, a shopping mall which offer a pleasant shopping experience with the many famous brands in the market today. Nice and KKKL Express are two of many operators with a strong presence at this terminal, with route heading to major destinations such as Singapore, Penang and more on a daily basis. Opting for an LRT, passengers would have to board a train to KL Sentral LRT station located along the Kelana Jaya line and stroll through KL Sentral’s vast halls before arriving at this bus terminal. Passengers coming from the Ampang line must disembark at Masjid Jamek and interchange to the Kelana Jaya line and board a train headed to KL Sentral. KTM Komuter passengers can board a train directly to the Komuter station in KL Sentral and make their way over to the bus departure point. Passengers also have the option of using the monorail as another means of transportation. They must first board a train to Hang Tuah LRT station along the Ampang line, before interchanging to the monorail line, headed to KL Sentral. Upon disembarking, they would have to walk through NU Sentral, to the bus departure point. MRT passengers should board a train to Muzium Negara and make their way on foot through the halls of KL Sentral to the bus terminal. Aside from the multiple trains line available, passengers can also board a bus or hail a taxi to said location. Grab and Uber are also likely options available as well. CatchThatBus provide users with the convenience of booking online bus tickets from buses operating at KL Sentral. 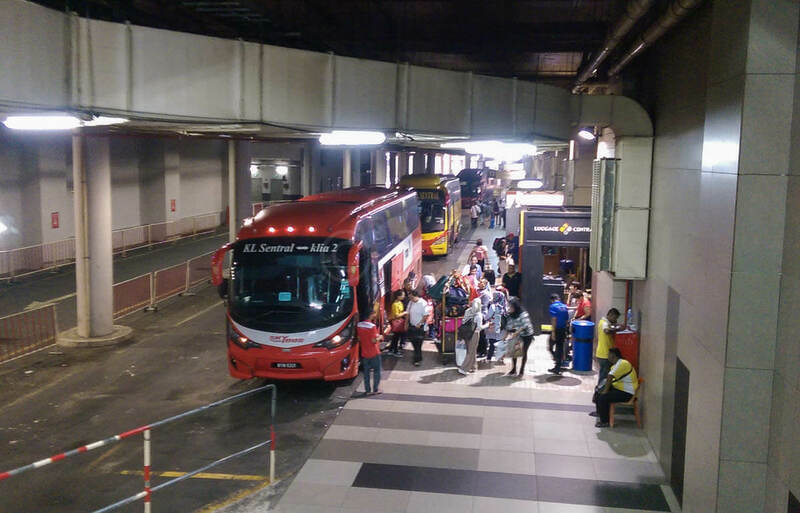 These buses provide daily trips to and from KL Sentral to numerous destinations. You can book your bus ticket online from our website or via mobile app which can be downloaded for free on Google Play or App Store.